T he idea of an endowment tax once seemed a distant possibility. Throughout her 11-year tenure, University President Drew G. Faust fielded questions from lawmakers skeptical of the tax-exempt status of Harvard’s now-$37.1 billion endowment. But a serious attempt to tax universities never came close to becoming law—until Dec. 2017. The sweeping, thousand-page tax overhaul Republicans passed that month turned Faust’s fear into reality: For the first time, Harvard and other institutions with endowments greater than $500,000 per student would be required to pay a 1.4 percent excise tax on the returns of their endowments. The tax would have cost Harvard $43 million had it taken effect in 2017. In the years and months prior, lawmakers had repeatedly assured Faust she had nothing to worry about. But in the weeks leading up to the tax bill vote, it became clear higher education no longer wields the clout in Washington it once enjoyed. Faust, who has called the tax “unprecedented” and “a blow at the strength of higher education,” said she was dismayed to see Republican members of Congress she once considered allies turn against Harvard and its peers. “We were so reassured by everybody’s statements that there would never be an endowment tax,” Faust said in a May interview. The tax dealt more than a financial blow; it also signaled Washington’s growing disillusionment with higher education. In July 2017, the Pew Research Center published a survey revealing 58 percent of Republican respondents indicated they believe higher education has a negative impact on the country. The endowment tax formed legislative evidence of a problem the leaders of top colleges and universities could no longer ignore. Meanwhile, Harvard was six months into a presidential search. It was becoming increasingly clear—more than perhaps ever before, the University’s pick would need to advocate not only for the country’s oldest university, but for American higher education as a whole. “The president of Harvard, as a consequence of the position, is a spokesperson for both higher education and is a spokesperson for Harvard,” presidential search committee leader and Harvard Corporation senior fellow William F. Lee ’72 said in an interview in April. The search committee hunted for the University’s 29th president for nine months, soliciting input from hundreds of thousands of Harvard affiliates. Ultimately—on Feb. 11, 2018 around 3 p.m.—the committee formally selected one of its own, searcher and Corporation member Lawrence S. Bacow. Bacow thought he had quit higher education administration for good when he stepped down as the president of Tufts University in 2011. But the Pew poll and endowment tax served as wake-up calls. Some time near early December—the same month the endowment tax passed—Lee asked Bacow if he would consider quitting the search committee to become a contender. Bacow stepped off the committee and onto the path to the presidency. “We thought it was important to have a president like President Faust who could speak broadly to the importance of higher education not just at Harvard, but in this country and across the world,” Lee said in a May interview. 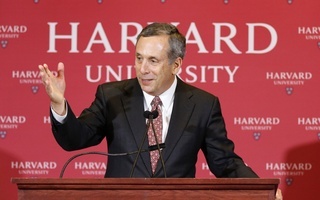 The search committee had decided: With his reputation as a highly regarded former university president, his familiarity with Harvard’s inner workings and challenges, and his track record promoting free speech and financial aid, Bacow was the man for the moment. Though $43 million may seem a small proportion of Harvard’s endowment, Faust said in February the endowment tax will have a “significant impact” on the University’s ability to fund certain programs. “What it will do is put constraints on our ability to fund the variety of undertakings that are central to our mission—financial aid and research, public programs, the variety of endeavors across the University,” she said. Wisconsin Rep. Ronald J. Kind ’85, a Democratic member of the House committee in which the tax bill originated, said he sees the endowment tax as a “revenue grab” to compensate for tax breaks the legislation handed to large corporations and wealthy individuals. Kind called university endowments “one of the last places” Congress should be looking to fund these tax breaks. But experts say revenue from university endowments amounts to chump change for the federal government; in fiscal year 2017, net federal tax collections totaled to nearly $3 trillion. Jason Furman ’92, an economist at the Harvard Kennedy School and the chairman of the Council of Economic Advisors under former President Barack Obama, said he has never heard a “substantive” defense for the tax. One of those views centers around a perception private universities are unaffordable—and, as a result, inaccessible to most Americans. Neil G. McCluskey, an education expert from the Cato Institute, a conservative think tank, said that, as costs of higher education rise, he thinks the marginal benefit of pursuing a four-year college degree tapers off. “I think that the value proposition of higher education just broadly… has decreased as the amount that we’ve spent on it has constantly increased,” he said. New York Rep. Tom Reed, a Republican co-sponsor of the tax bill who particularly advocated for the endowment tax, questioned the utility of a classic college education. In an interview, Reed emphasized what he considers the “surplus” of four-year degrees in American job markets today, which he said results in a shortage of individuals with the technical skills needed for many careers. “[Colleges are] still teaching to the traditional models, the traditional curriculums, as opposed to adopting and aligning their curriculums up with the demands in the country and encouraging those careers,” Reed said. McCluskey said cost concerns are only intensified by the “perceived left-wing bent” of higher education. “They will say, ‘Why is it you cost so much when you have so much money?’ But a lot of the message is, ‘How dare you cost so much and horde so much money and do all these things and say all these things that we don’t like, and that make our constituents unhappy?’” he said. Reed said that, while he believes private colleges and universities put forth a “great effort” for first-generation and low-income students, he is concerned “hard-working families” in the middle class get insufficient support. Faust said the notion that a Harvard education is unaffordable stems from misconceptions about Harvard’s financial aid program, which completely covers the cost of attendance for students whose families boast annual incomes below $65,000. Families with annual incomes between $65,000 to $150,000 contribute no more than 10 percent of their income, according to the College’s financial aid website. “The issues surrounding the endowment tax represent much bigger issues for higher education: that it is not well-understood, that there is growing hostility to what is seen as elite and elitist higher education, that people don’t understand our financial aid policy, so they think we’re not accessible, we’re not affordable, that we have nothing to do with them,” Faust said. In many ways, the soul-searching Harvard and other elite universities have undertaken in the wake of the endowment tax mirrors the Democratic party’s self-examination after President Donald Trump’s election in 2016. Just as Democrats are facing accusations they failed to adequately consider issues confronting white, middle-class Americans, higher education institutions have found themselves reckoning with the perception they only cater to liberal elites and minorities. “That’s something that universities—Harvard and others—need to think about, which is what have we done lately for people in wide swaths of the country who don’t have children here or can’t understand what Harvard does,” Faust said in December. David W. Leebron ’76, the current president of Rice University, said he thinks colleges and universities on the East Coast can sometimes exist in a bubble. “We’re all parochial to some extent and I think folks in Washington and New York and Boston sometimes forget that there’s a big and important world outside that geographic area,” he said. Leebron also said anti-higher education sentiment may have “hardened” under the Trump administration, which has taken aim at a number of priorities shared by Harvard and its peers. He particularly pointed to issues surrounding undocumented students and research funding. University President-elect Lawrence S. Bacow will face a rising tide of anti-higher education sentiment when he takes office in summer 2018. The Trump administration moved in Sept. 2017 to rescind Deferred Action for Childhood Arrivals, an Obama-era program that allows undocumented youth to legally live and work in the United States. DACA provides legal protections to many of Harvard’s undocumented students; Faust recently ramped up her lobbying efforts to urge Congress to pass permanent protections. On at least five trips to Washington since the election, Faust also advocated for preserving federal research funding and financial aid. While Harvard has expanded its federal advocacy in the Trump era, the origin of higher education’s image problem with Republicans traces back to well before the real estate magnate set foot in the political arena. “Nothing started on Jan. 21, 2017. It had roots, but, certainly, it has grown,” Corporation and presidential search committee member Jessica Tuchman Mathews ’67 said in a recent interview. Harvard, as an emblem of American higher education, has often drawn scrutiny and skepticism. The politics of its faculty and students continue to overwhelmingly fall left of center. In a recent Crimson survey of the faculty, 83 percent of respondents identified as either “liberal” or “very liberal.” And nearly 70 percent of respondents to The Crimson’s survey of the College’s Class of 2021 reported holding left-of-center political views. And Harvard has also seen its fair share of controversy surrounding conservative campus speakers. Speaking invitations to United States Secretary of Education Betsy DeVos, sociologist Charles A. Murray ’65, and former Trump Chief Strategist Steve Bannon sparked protests among students who found their views offensive or extreme. Unlike protests at University of California, Berkeley and Middlebury College—which turned violent and ended presentations prematurely—demonstrators at Harvard never physically inhibited speakers from delivering their talks. In a Washington Post op-ed in November, Harvard Law professors Jack Goldsmith and Adrian Vermeule wrote Harvard students have been “relatively respectful of conservative speakers.” Yet they warned of a “pervasive progressive orthodoxy” at the University, and cast much of the right’s animosity toward higher education as emblematic of an ideological rift. “Educational institutions should not be surprised when these attitudes and behaviors prove unappealing to a Congress and executive branch that are largely in the control of conservatives,” they wrote. Regardless of whether observers or university leaders believe animosity toward higher education stems from the fear it is too expensive or the fear it is too liberal, almost no one argues the animosity does not exist. Many agree it is symptomatic of a larger gulf between coastal elites and the rest of the country. “That’s just a kind of proxy battle, to be honest, for deeper issues about how elites operate in our society,” said University Professor Danielle S. Allen, a co-chair of the diversity task force. “It’s also very easy when you have a lot of advantages, resources, privilege, history, tradition, and so forth to become tone deaf and not be open to all the good and excellence that comes from other quarters and other contexts,” she added. For members of Congress whose constituents view elite universities with skepticism, dolling out favors for university presidents is a tough sell. Faust said a number of lawmakers have made no secret of their disdain for higher education. After the February press conference announcing Bacow’s selection, Corporation and search committee member Shirley M. Tilghman said she thinks Bacow is particularly prepared to face the challenges ahead. “We had come to recognize his vast knowledge and experience in higher education, which became more and more clear how important that was going to be as we learned more and more not just about the issues that were facing Harvard in the next two or three years, but the issues that were facing all of higher education,” she said. Bacow grew up in Detroit, the son of two Holocaust survivors who emigrated from Europe after being freed from Auschwitz. He attended college at MIT before eanring an M.P.P., Ph.D., and J.D. from Harvard. He rose through the ranks of MIT, earning the post of university chancellor before switching schools to become the president of Tufts in 2001. He led Tufts until 2011. 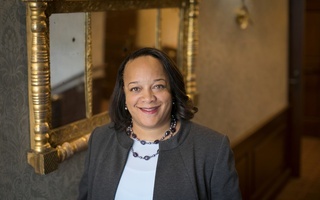 During his tenure, Bacow prioritized “affordability,” worked to expand programs for first-generation students and bolstering aid for low-income students, according to Lisa M. Coleman, who served as Tufts’s chief diversity officer during Bacow’s tenure. The capital campaign Bacow launched in 2009 garnered $1.2 billion in donations by 2011. He converted a $15 million gift from Tufts trustee Karen Pritzker to a fundraising project designed to make the school more affordable for students from underrepresented backgrounds in 2006. Stance on Endowment Tax: Byrne is leading the effort to repeal the endowment tax. Relation to Faust: Byrne has met with Faust in Washington, D.C.
Stance on Endowment Tax: Against endowment tax. Relations to Faust: Faust has met with Sewell. Stance on Endowment Tax: Sullivan voted for the Tax Cuts and Jobs Act, which contains the endowment tax provision. Relation to Faust: Sullivan has corresponded with Faust on the topic of increasing funding for summer public service opportunities. He has also met with Faust in Washington, D.C.
Stance on Endowment Tax: Cotton voted for the Tax Cuts and Jobs Act, which contains the endowment tax. Relations to Faust: Faust has met with Cotton. Relations to Faust: Faust has met with Gallego. Relation to Faust: Sherman has met with Faust in Washington, D.C. Relation to Faust: Faust has met with Pelosi multiple times in Washington. During these meetings, Faust has raised concerns about the repeal of DACA, removal of TPS, and pending reauthorization of the Higher Education Act. Stance on Endowment Tax: McCarthy voted for the Tax Cuts and Jobs Act, which includes the endowment tax provision. Relations to Faust: Faust has met with McCarthy. Relations to Faust: Faust has met with Blumenthal. Relations to Faust: Faust has met with Himes. Relations to Faust: Faust has met with DeLauro. Relations to Faust: Faust has met with Bennet. Relations to Faust: Faust has met with Lewis. Stance on Endowment Tax: Crapo voted for the Tax Cuts and Jobs Act, which contains the endowment tax provision. Relation to Faust: Faust has met with Crapo in Washington D.C. Crapo has also corresponded with Faust on the topic of increasing funding for summer public service opportunities. Relation to Faust: Durbin has met with Faust on Harvard's campus and they have discussed immigration legislation, including DACA. Relations to Faust: Faust has met with Krishnamoorthi. Stance on Endowment Tax: He voted for the Tax Cuts and Jobs Act, which included the endowment tax provision. Relations to Faust: Faust has met with Roskam. Stance on Endowment Tax: He voted for the Tax Cuts and Jobs Act, which includes the endowment tax provision. Relations to Faust: Faust has met with Grassley. Stance on Endowment Tax: He voted for the Tax Cuts and Jobs Act, which contains the endowment tax provision. Relation to Faust: McConnell has met with Faust multiple times in Washington, D.C. and at one point promised her that the endowment tax would not be included in the 2017 tax overhaul bill. Stance on Endowment Tax: He voted for the Tax Cuts and Jobs Act, which contains the endowment tax. Relations to Faust: Faust has met with Poliquin. Stance on Endowment Tax: She voted for the Tax Cuts and Jobs Act, which included the endowment tax provision. Relations to Faust: Faust has met with Collins. Relations to Faust: Faust has met with King. Relation to Faust: Markey has corresponded with Faust on the topic of increasing funding for summer public service opportunities. Faust has met with Markey in Washington, D.C. Relation to Faust: Faust has met with Warren many times over the course of her tenure. Relation to Faust: Faust has met and corresponded with Clark on a number of issues. Relations to Faust: Faust has met with Moulton. Relations to Faust: Faust has met with Kennedy. Relations to Faust: Faust has met with Capuano. Relations to Faust: Faust has met with McGovern. Relations to Faust: Faust has met with Neal. Relations to Faust: Faust has met with Tsongas. Relation to Faust: Faust met with Brown on her most recent Apr. 2017 trip to Washington, D.C. Relation to Faust: Faust met with Delaney on her most recent Apr. 2017 trip to Washington, D.C. Relation to Faust: Van Hollen wrote a letter to Faust asking her to increase Harvard’s funding for summer public service internships in May 2018. Relations to Faust: Faust has met with Hoyer. Relations to Faust: Faust has met with Moolenaar. Stance on Endowment Tax: He voted for the Tax Cut and Jobs Act, which contains the endowment tax provision. Relations to Faust: Faust has met with Sasse. Relation to Faust: Faust has met with Blunt multiple times and is an ally of the University on federal research funding. Relation to Faust: Faust has met with Hassan in Washington, D.C.
Relations to Faust: Faust has met with Shaheen. Relations to Faust: Faust has met with Frelinghuysen. Relations to Faust: Faust has met with Gottheimer. Relation to Faust: Faust has met with Schumer in Washington, D.C. and corresponded with him on a number of issues, including the repeal of DACA, the removal of TPS, and the pending reauthorization of the Higher Education Act. Stance on Endowment Tax: Stefanik voted against the Tax Cuts and Jobs Act, which contains the endowment tax provision. Relation to Faust: Faust has met with her in the past, but Stefanik was unavailable to meet last time Faust travelled to Washington. Stefanik is a key architect of a provision in the PROSPER Act that could jeopardize the University’s single-gender social group sanctions policy. Relations to Faust: Faust has met with Lowey. Stance on Endowment Tax: Reed was one of the key architects of the endowment tax provision and co-sponsored the Tax Cuts and Jobs Act in the House. Relations to Faust: Faust has met with Reed in Mass. Hall. Relation to Faust: Faust has met with Toomey in Washington, D.C. and, in 2017, assured her that the endowment tax would not be included in the tax overhaul bill. Relations to Faust: Faust has met with Reed and he is a personal friend of Bacow’s. Relations to Faust: Faust has met with Langevin. Relations to Faust: Faust has met with Whitehouse. Relations to Faust: Faust has met with Cole. Relations to Faust: Faust has met with Wyden. Stance on Endowment Tax: Graham voted for the Tax Cuts and Jobs Act, which contains the endowment tax provision. Relation to Faust: Faust has met with Graham on Harvard’s campus and they have discussed immigration legislation. Relations to Faust: Faust has met with Clyburn. Stance on Endowment Tax: Rounds voted for the Tax Cuts and Jobs Act, which contains the endowment tax provision. Relation to Faust: Faust met with Rounds on her most recent trip to Washington, D.C. in April. Relation to Faust: Faust has met with Cooper in Washington, D.C. Relation to Faust: Faust has met with Alexander in Washington, D.C. Alexander is an ally on other higher education related-issues, including supporting federal research funding. Stance on Endowment Tax: Brady is a key architect of the endowment tax provision in the Tax Cuts and Jobs Act. Relation to Faust: Faust has met with Brady in Washington D.C. Brady had assured Faust that an endowment tax would never become reality in their meetings. Stance on Endowment Tax: Cruz voted for the Tax Cuts and Jobs Act, which contains the endowment tax provision. Relation to Faust: Faust and Cruz have met in Washington D.C., although Faust has not spoken to him about the endowment tax. Relation to Faust: Faust has met with Hatch in Washington, D.C. Relation to Faust: Faust has met with Kind in Washington, D.C. multiple times. Stance on Endowment Tax: Ryan voted for the Tax Cuts and Jobs Act, which contains the endowment tax provision. Relation to Faust: Faust has met with Leahy in Washington, D.C.
Stance on Endowment Tax: Taylor voted for the Tax Cuts and Jobs Act, which contains the endowment tax provision. Relation to Faust: Faust has met with Taylor in Washington, D.C.
Relations to Faust: Faust has met with Goodlatte. Relations to Faust: Faust has met with Murray. Bacow also navigated controversies surrounding free speech on Tufts’s campus. In 2007, a conservative student newspaper published articles many students and faculty found offensive. The newspaper faced penalties from a student-faculty committee, but Bacow annulled the penalties in defense of freedom of expression. 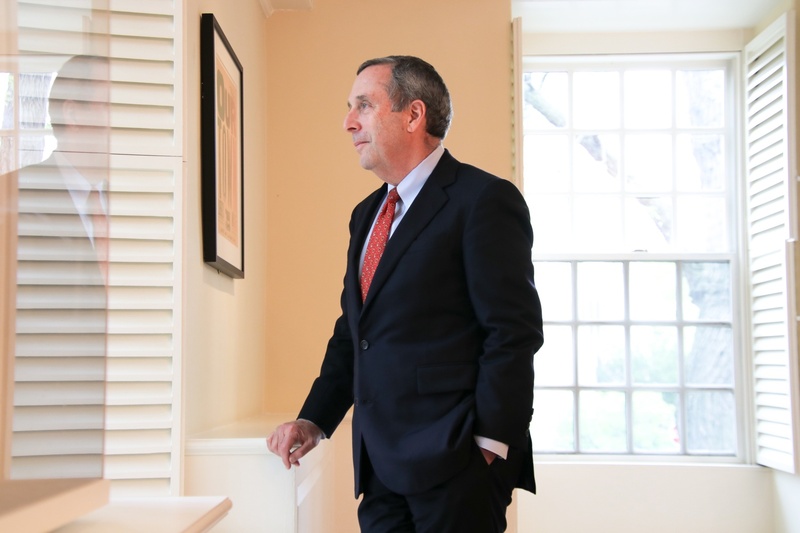 While president of Tufts, Bacow also served on former President Barack Obama’s White House Initiative for Historically Black Colleges and Universities. 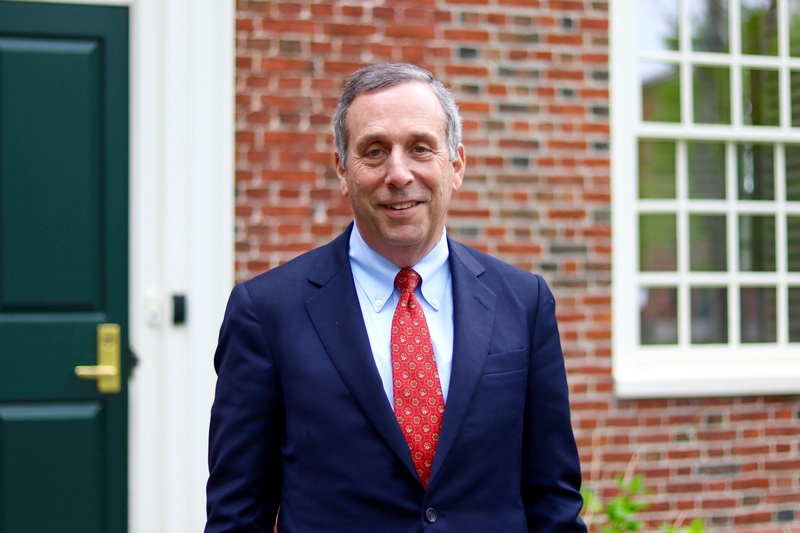 In a May interview, Mathews highlighted Bacow’s “extraordinary standing in the broad field of higher education” as an important factor in his selection. Bacow has built relationships with members of the Massachusetts delegation over the course of his career; but when he takes Harvard’s reins, he will inherit a bigger platform and a broader lobbying agenda. Kind said Bacow is not yet well-known on Capitol Hill. “As far as individual members—unless he’s had some working relationships in the past—he’s pretty much a blank slate,” Kind said. In the coming months and years, Bacow’s ability to form relationships with lawmakers—particularly Republicans—beyond the Bay State will likely be critical to his ability to counter unfavorable perceptions of Harvard. “It’s actually more important to be connecting with Republicans now instead of Democrats. With our Democratic alums, it was usually asking for advice: What should we be doing that we’re not? Who might we call that we haven’t?” Faust said in December. During her presidency, Faust built a reputation as an advocate for the University, its students, and higher education as a whole. Hess said that, while Bacow may not currently have quite the same stature in the nation’s capital, his influence will likely grow with time, just as Faust’s did. “With Faust, I would have said back when she was beginning, I think she had little or no sway in D.C., but becoming president of Harvard tends to overnight supersize one’s influence,” Hess said. A number of Faust’s long-term lobbying priorities—immigration, research funding, and financial aid— will carry over to the Bacow era. “I would expect President Bacow to continue the same very active presence in Washington that President Faust has followed,” Mathews said. Bacow will also confront a number of immediate legislative challenges, including the pending reauthorization of the Higher Education Act, which contains provisions relating to financial aid—well as an amendment that could imperil Harvard’s single-gender social group sanctions. Bacow is not going into the job under any illusion about the hostility he is likely to face. When he took the podium Feb. 11 to address Harvard affiliates for the first time as the University’s president-elect, he acknowledged that some of Republicans’ concerns are warranted. “These days, higher education has plenty of critics. And candidly, I think some of the criticism is fair,” he said. Referencing his stint on the search committee, Bacow said he is well aware the task of addressing these critics will fall to Harvard’s 29th leader. “I can say this, having served on the search committee for the first half of the search—we were mindful that the next president would have to deal with a challenging environment for higher education nationally,” he said in an April interview. The president-elect has experience navigating this unfriendly terrain. As a member of the Corporation, Bacow has long had a seat at the table during high-level deliberations about how best to address anti-higher education sentiment. “We need to do a better job of controlling our costs, we need to do a better job of operating more efficiently,” he said at the press conference announcing his selection. Part of that effort will involve reaching out to regions of the country not heavily represented on Harvard’s campus. During the final years of her presidency, Faust began making trips to high schools in cities across the country—including Cincinnati, Dallas, Miami, and Philadelphia—to speak about the importance of higher education and put a face to Harvard’s name. She has also turned to continuing education programs and online learning as means of widening access to Harvard’s resources. The Harvard Extension School currently enrolls more than 14,000 students. The Kennedy School’s Institute of Politics recently launched the Seminar on Transition for New Mayors Program, a non-partisan program from incoming mayors from large U.S. cities. “We can have an impact far beyond the number of degree students who will always be limited in terms of what residential education entails,” she added. 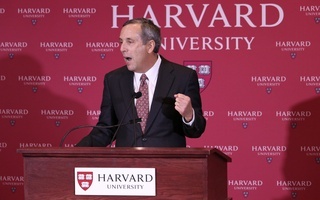 When Faust passes the baton to Bacow, he will take up the challenge of increasing Harvard’s presence across the United States, Bacow wrote in a May statement. “Colleges and universities create opportunity, spur progress, and improve lives in communities across the country and around the world,” he wrote. As she hands over the reins, Faust is optimistic. She said Bacow has a “deep understanding” of Harvard and the challenges ahead.